Punnett's Square: Baby Teeth Stem Cells Can Save Adult Teeth? 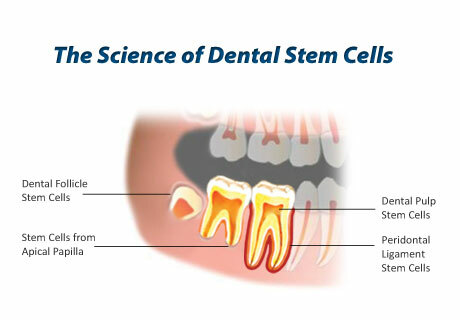 Baby Teeth Stem Cells Can Save Adult Teeth? According to an article in Science Daily, extensive research has showed that a specific human deciduous pulp stem cells (hDPSC) in baby teeth can be used to regrow dental tissue. Scientist Songtao Shi and his colleagues conducted studies in China, where they enrolled 40 children who had injured one of their "adult teeth" while still having their baby teeth present. The procedure began with Phase 1 of trial where hDPSC was extracted from baby teeth and was used to treat the damaged "adult tooth." After a couple of weeks results showed; healthy root development, thicker dentin (the hard part of a tooth beneath the enamel) and an increase of blood flow. The treatment presents a promise to preventing tooth decay at an early age. Most children damage their teeth at an early age, thus needing root canal procedures in the near future, which can also lead to other more serious and expensive procedures. Since this research is still brand new, scientists see a potential benefit in the dental field, however if this were to become a valuable procedure it will be costly. This is incredible. Many times people end up having teeth extracted because they are just beyond repair but being able to strength the tooth naturally may help change that. There are many downsides to missing teeth and it can affect the way you chew and even the health of your other teeth. I hope to see this implemented in my lifetime. I found this article to be interesting because I am going into the dental field, and it is amazing that scientists are coming up with new ideas to repair damaged teeth. By using a baby tooth to repair a damaged adult tooth seems like a more natural way than using other materials to repair a damage tooth. This research does seem very beneficial to the future generation. What a great article! I currently work in the dental field and this article was such a great read. I knew scientist were working with STEM cells to try and regrow parts of the enamel in the tooth-but using the (hDPSC) from pupal STEM cells is genius! I do wonder though what the cost of this treatment would be if it becomes available to the public. There are other alternatives to fixing damaged teeth that are more affordable such as Root Canal Therapies and Extraction/Implants.